I got an email from a customer the other day who wondered if there wasn’t some way to make G-Wizard more focused to the needs of manual machinists. He felt that it was overly “CNC specific”, and wanted some sort of “CNC versus Manual” switch to make it easier. I need to cogitate more on the idea of a switch, but it is certainly true that if you start dialing up modern tooling in G-Wizard and cutting softer materials, you will end up with feeds and speeds that are impossible–the manual machinist just can’t crank the handwheel fast enough. The physics are the same for the cutter, whether it’s a manual machine or a CNC machine. I’m tempted to respond as one famous Starship Chief Engineer did with, “I canna change the laws of physics, Captain!” But, that’s just telling us we need to think about the problem differently: we don’t have to change the laws of physics, we just have to apply them properly. Take the issue of trying to madly crank the handwheel to hit 100 inches per minute or some other similarly silly thing that G-Wizard may recommend to the manual machinist. First question is, “Why did it recommend that?” And the answer is, unless you keep chip load up, you run the risk of rubbing the cutter. Cutter at the top has large chip load relative to radius of cutting edge, so it cleanly slices off chips. Cutter at the bottom has a large cutting edge radius relative to the chip load. It can hardly get under the chip to slice, so it plows, scrapes, and rubs. It may produce a fine finish, but it does so by burnishing. This creates a lot of heat and is very hard on your cutting tools. When G-Wizard asks for a particular feedrate, and it seems too fast, it’s only because it’s trying to get the picture at the top where the cutter slices cleanly. Be sure you tell G-Wizard what your maximum feedrate is–it will limit itself automatically. Let’s try an example. Take a 1/2″ TiAlN 3 flute in 6061, 1/2″ depth of cut, 1/8″ width of cut. Let’s say our spindle will do a maximum of 5500 rpm. We get back a feedrate of 78 IPM and a chip load of 0.0041″. If the spindle would do 10,000 rpm, it jumps up to 142 IPM to maintain the same chip load. Now let’s say a manual machinist decides they can turn a handwheel twice a second and still be smooth, but that’s the limit on hand cranking. If each turn moves the table 0.100″, we’re moving at 2 * 60 * 0.1 = 12 inches per minute. That’s well short of our goal. If we override G-Wizard’s feedrate on the 5500 rpm spindle to be 12 IPM, we have a chip load of 0.0007″. 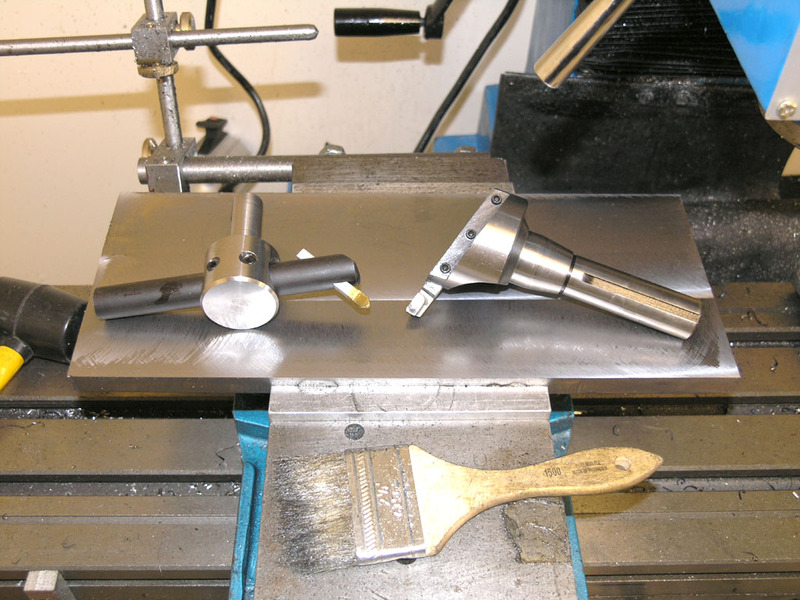 I try not to let chip load fall below 0.001″ on carbide and maybe 0.0005″ on HSS if I am overriding G-Wizard. Those are just estimates of how low I can go and not get into that edge radius rubbing issue. So this cut is iffy for me. – Manual mills usually have a slower spindle rpm, so be sure to set that up. I used 5500 rpm. – No TSC (through spindle coolant), PCN (programmable coolant nozzle), and if they have flood, it is not strong and might as well be mist. – Perhaps most important: set the feedrate based on how fast you can crank or how fast your power feed will allow! I used 12 IPM, which is 2 turns a second on a handwheel where 10 turns is an inch. If we go back to the Feeds and Speeds calculator with that profile, we’ll see that G-Wizard has adjusted to the machine’s capabilities. Our 5500 rpm / 78 IPM cut is now a 3800 rpm / 12 IPM cut. That’s manageable! And, you’ll note the chip load will be 0.0011″. What G-Wizard has done is to try to balance all the factors and get the required feedrate down by slowing the spindle (good for tool life too!) and allowing the recommended 0.004″ chip load to fall as low as 0.0011″. How do we set up G-Wizard for a fly cutter? The writer that prompted me to write this post had the right idea–just tell G-Wizard you’ve got a Facemill with only 1 insert. That’s exactly right. If your fly cutter has a lead angle, the ones pictured both do–the edge is angled, try using the lead angle feature on the Facemill type. 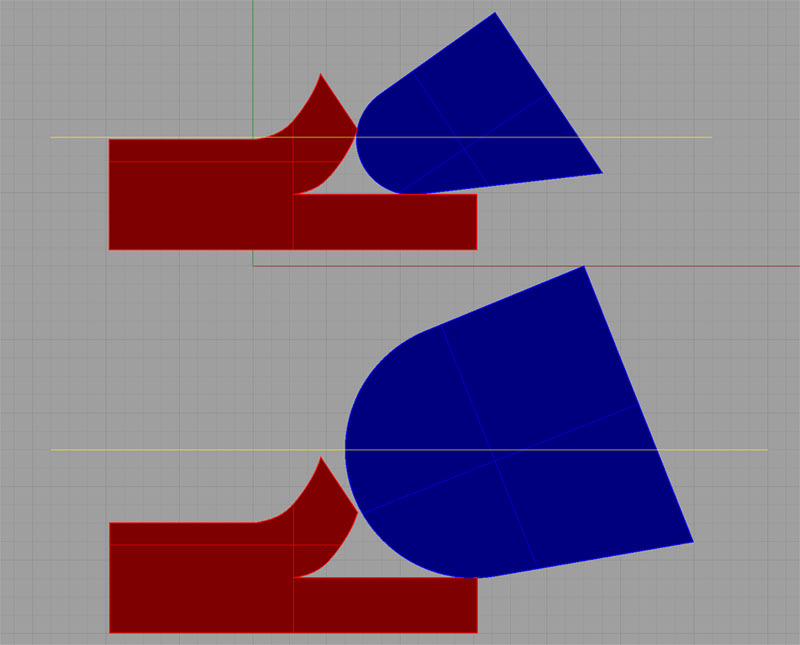 If I do all that on G-Wizard, the result is: 1834 rpm @ 12 ipm for a 0.100″ DOC and 1.8″ cut width. That’s not too bad for hogging a surface flat, it’s a half horsepower cut, but there’s way too much chip load for a fine finish. It’s showing 0.0065″ chip load. That’s because it thinks you’ve got a nice facemill with some chunky carbide inserts that can take it. Surface speed is 1440 IPM. 1. Bring up an HSS endmill and check out the chip load and surface speed. Chose something about the same scale as the flycutter’s tool. A 1/2″ endmill is fine. I see 400 SFM and maybe 0.003″ chip load. 2. Go back to your Facemill feeds and speeds and try using those figures for SFM and chip load. 3. 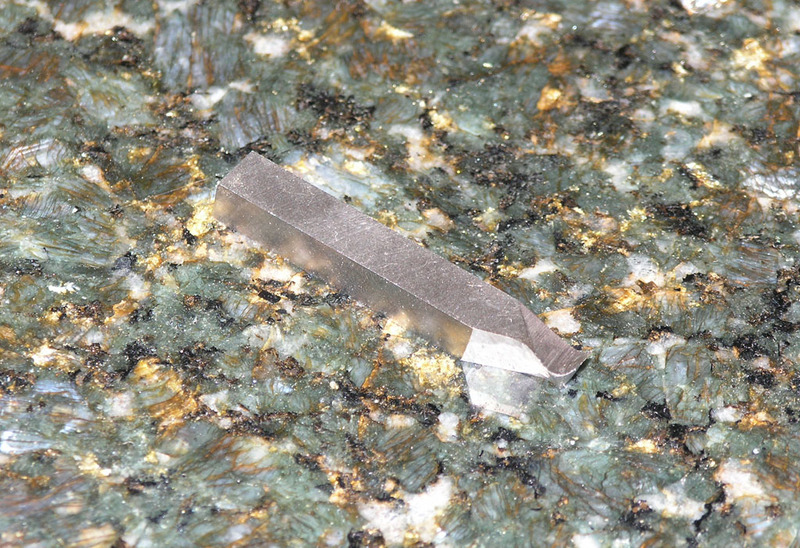 If finishing, take the chip load down to 0.001″, or even less if you have a razor edge on that tool. The one pictured is knife sharp and I’d be comfortable as low as 0.0006″ or 0.0005″. With those settings, G-Wizard gives 500 rpm @ 0.36 IPM. To convert that to seconds per handwheel rotation, multiply by 50 and we get one handwheel turn every 18 seconds. That will produce a fine finish indeed with such a cutter. The 50 is just a rule of thumb that’s close, but a little fast. The real number is 16.67 seconds a turn, but its easier to remember 50. 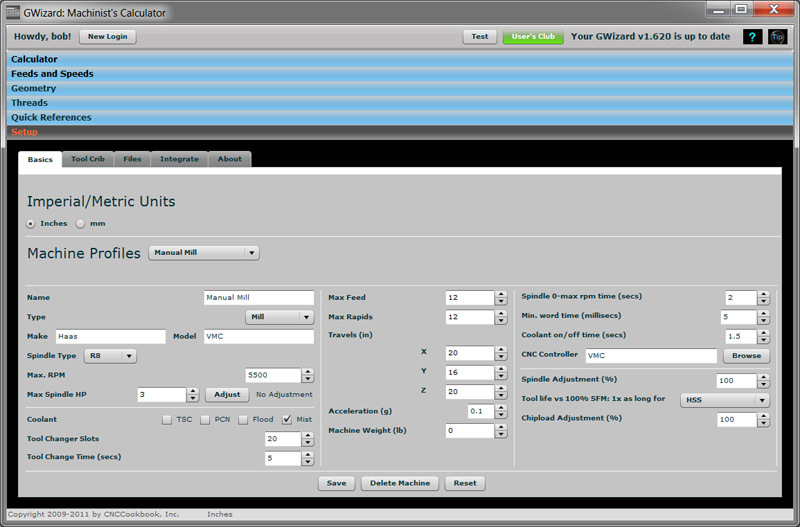 In fact, you can use the field arithmetic in G-Wizard to do the calculation. Just go to the feedrate and type “*50” and you’ll be looking at the number. A fly cutter will often produce the best surface finish because they allow you to finish a very wide area in one pass with no overlap marks and the cut has a constant depth. If your face mill has individually adjustable insert heights, you probably won’t see a lot of benefit in a flycutter, but if not, you can easily convert a facemill to a flycutter by removing all but one insert, and it is interesting to experiment with the results. Reducing the number of inserts will necessitate a reduction in feedrate, but it may be worth it in terms of improved surface finish. Some people swear that the best finish for aluminum is a flycutter large enough to cut your material in a single pass equipped with a PCD insert of the largest possible radius. Like most mill cutters, your fly cutter will perform better with positive rake on the cutting tool. I haven’t yet seen any positive rake brazed carbide tools (which seem like the most common thing people stick in their flycutters), so I suppose you would either need an insert like a CCMT or you’d need to grind your own tool from HSS with some positive rake. Fly cutters are very sensitive to tram. If you think about it, the cutter is apt to cut a concave instead of flat cut if your mill’s head is not trammed properly. Watch your workpiece carefully as the leading edge moves through the center of the fly cutter. All the cutting should have been done as it was travelling the first half of the way if you head is in tram (think about it carefull, that’s one geometry for one direction, so you actually have to see this behavior cutting in both directions to be sure). If it cuts more on the second half, you can be sure the tram is such that the head has that half tilted downward slightly. Also, the larger the fly cutter diameter, the more the tram effect is exaggerated. In some cases, you may prefer the surface finish from a face mill or fly cutter on a mill that is slightly out of tram so it only cuts on one side. I hope this gives a good idea of how manual machinists can use G-Wizard to good effect.